8th June: 444041 + 450073 leave Eastleigh at a snail's pace, apparently it was a "Northam or bust" move, 5Z50 16:21 Eastleigh Works - Northam, but it stopped at near Southampton Airport Parkway, blocking the down line. Cross-Country and SWR terminated two workings at Eastleigh, leading to a busy platform. 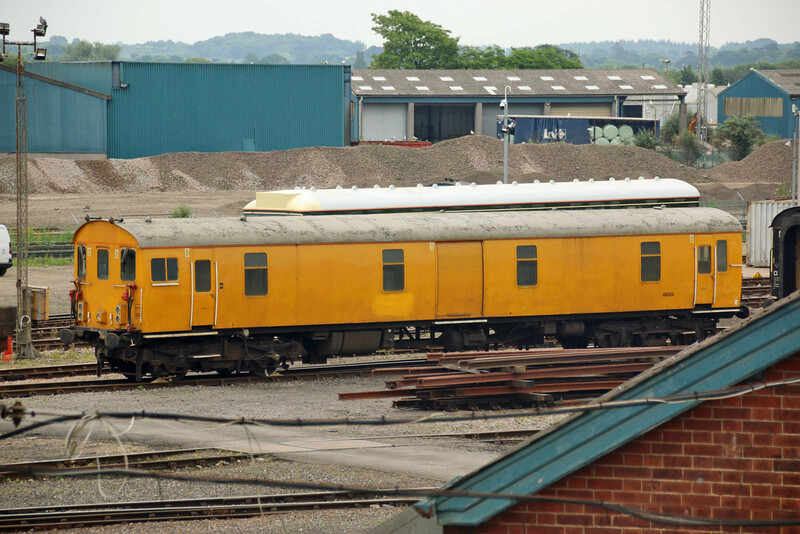 The terminated SWR pair of 444s worked on to Fareham as ECS. The following train was 450034 on 2K91 16:38 Winchester - Totton, followed by 66024 with DB Cargo's 09:12 Trafford Park - Western Docks. A SWR 158 from Romsey returned there and proceeded by Redbridge to Southampton. 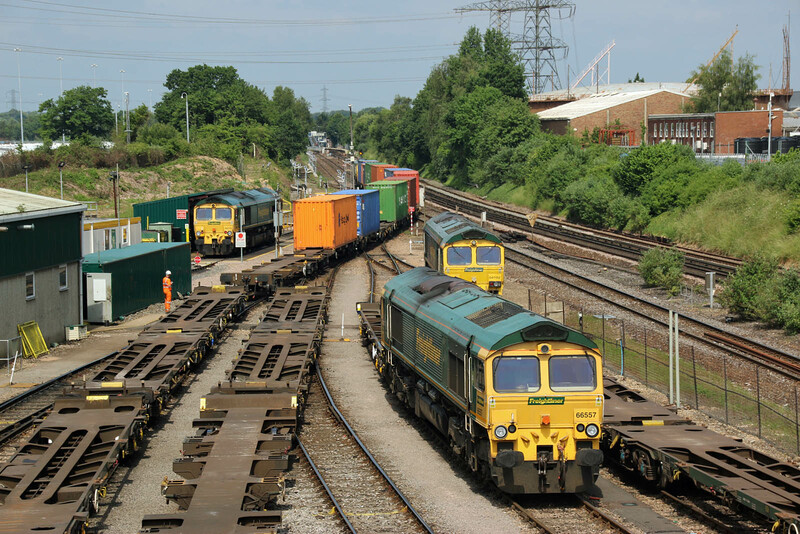 66557, seen last week at Eastleigh Works, back at Maritime, 9th June. Also pictured are 66559 and 66502. 70002 has been stored at Leeds, having spent a few days at Maritime since about 24th May, then towed to Leeds on Monday. In this case it was only in traffic for two months. Only 7 left now working with Freightliner, none at Maritime on Saturday morning, although 70007 was coming south from Leeds on 4O90. Cross Country Franchise: DfT propose withdrawal of Southampton - Bournemouth in a future franchise. Class 442 runs: These are still apparently running on their original 4-REP traction packages. Marchwood Flats: Saturday and Monday services are being timetabled between Marchwood and Maritime. This requires the manning of the signalbox and gates at Marchwood. 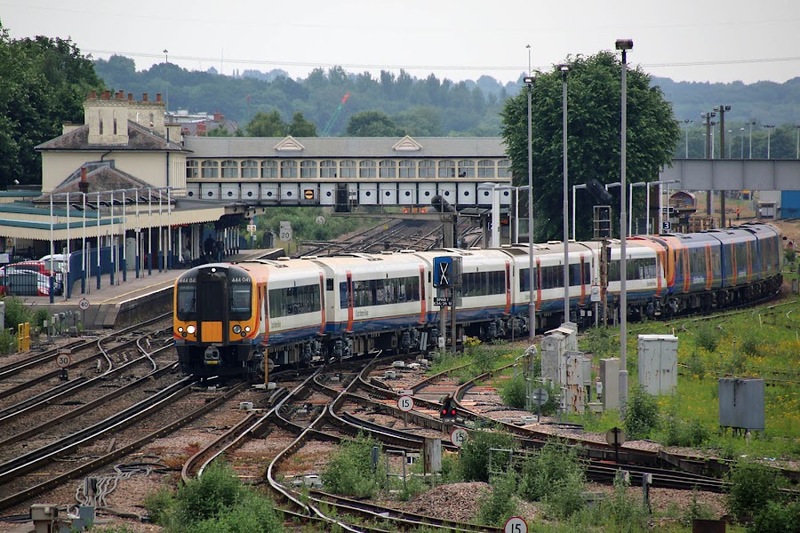 Two trains ran on 9th June - the second ran early.